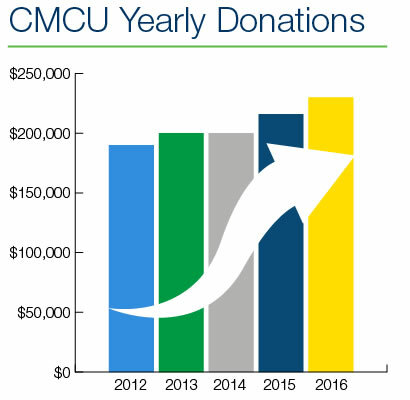 Central Minnesota Credit Union is committed to the philosophy of ‘people helping people’. As we expand into new areas, we continue our mission by investing in communities. The scholarship application for the 2017-2018 school year is now closed. Thank you to those who submitted applications. The 2018-2019 school year scholarship application will open in November, 2017. (Disclosure) Financial need is not considered in the selection of the scholarship money. Employees and immediate family members of CMCU employees are not eligible to enter. Transcripts and letters of recommendation sent with the application will not be considered. Video entries must not be derogatory, offensive, threatening, defamatory, disparaging, and libelous or contain any content that is inappropriate, sexual, profane, indecent, slanderous, and discriminatory in any way.